October is a month for many things including Breast Cancer Awareness, Fire Prevention Month, Domestic Violence Awareness, Disability Awareness, Down Syndrome Awareness and of course, Halloween and many more. But did you know it is also National Pasta Month? 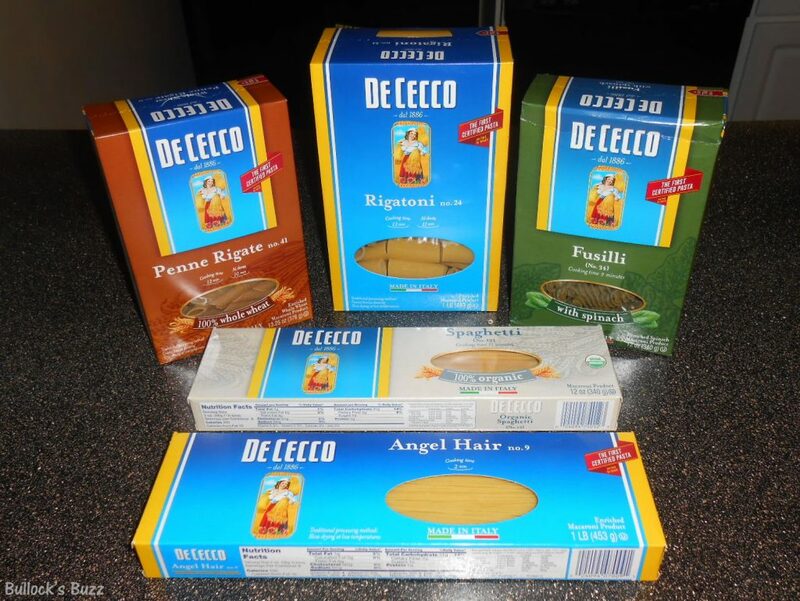 It is, and to help celebrate, De Cecco Pasta sent me a wonderful variety of pastas and sauces to try! 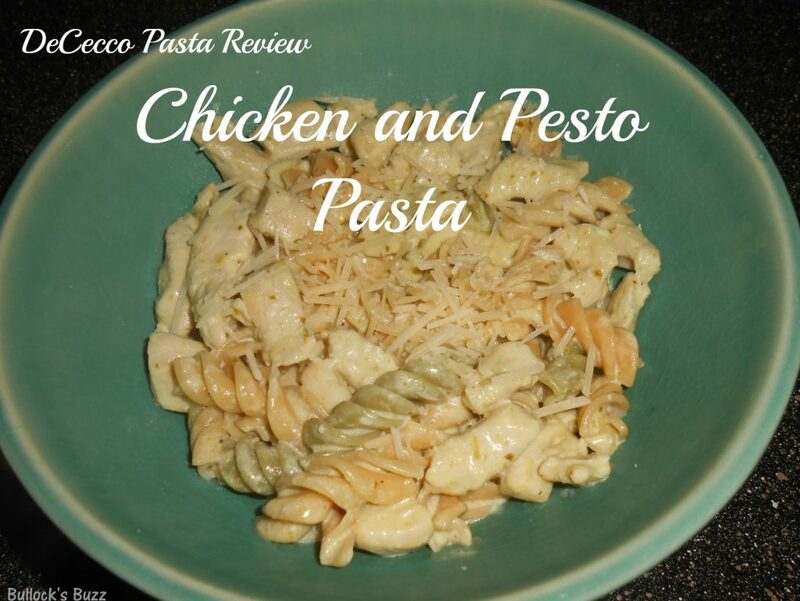 After a month of making many delicious pasta meals, I decided to pick my favorite recipe and share it with you! 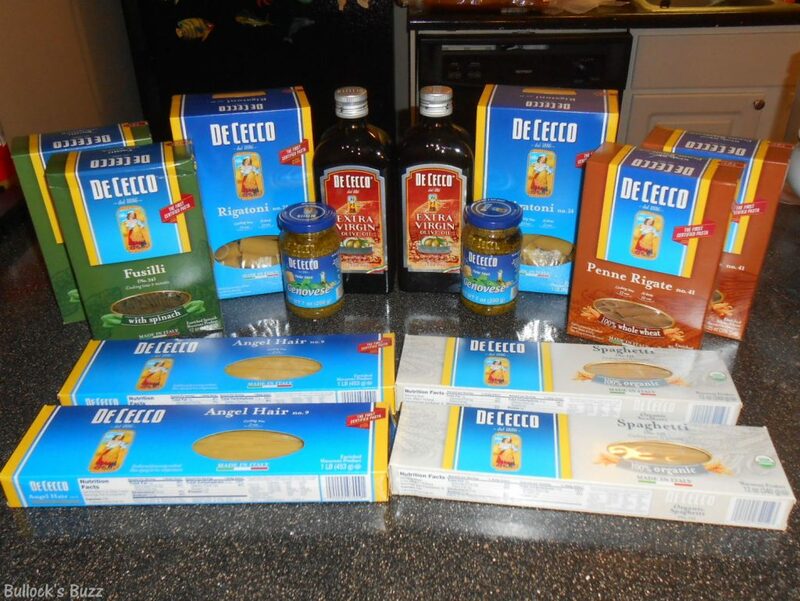 But first, let me show you all the delicious De Cecco products I got to try! De Cecco has been making pasta since 1886, and with over 120 years of pasta making experience, you can rest assured that De Cecco knows how to make premium pasta!! They offer more than 160 shapes of traditional semolina pasta, as well as organic, whole wheat and spinach varieties. I was sent several varieties of pasta including Organic Spaghetti, Angel Hair Pasta, Rigatoni #24, Fusilli with Spinach #34 and Whole Wheat Penne Rigate #41. Each pasta dish we ate was truly delicious! De Cecco pasta is made with only the best durum wheat, and is fast and easy-to-cook and comes out with just the right amount of tenderness and wholesome taste. With such a wide variety of pastas from which to choose the meal options are practically limitless. Yet pasta is not all De Cecco makes, they also have a line of delicious Ready Sauces that were created with the famous international chef Heinz Beck and include pesto, marinara, orotlana and more. De Cecco also makes a line of Olive Oils using the finest Mediterranean olives. 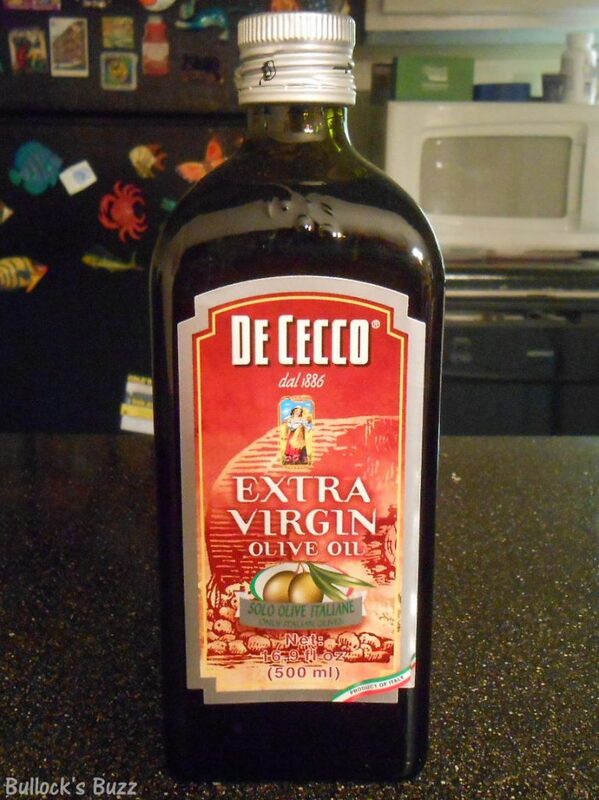 Olive Oil is one of my favorite oils to use in cooking, and De Cecco’s Extra Virgin Olive Oil is one of the best I have tried! De Cecco’s Olive Oil is a cholesterol-free product that is made with carefully selected Mediterranean olives that are mechanically pressed. Once made, the oil is bottled in dark glass bottles to help preserve the nutritional qualities and the taste. De Cecco’s Olive Oil is a rich gold in color, and has a well-balanced flavor that brings out the best in every dish. 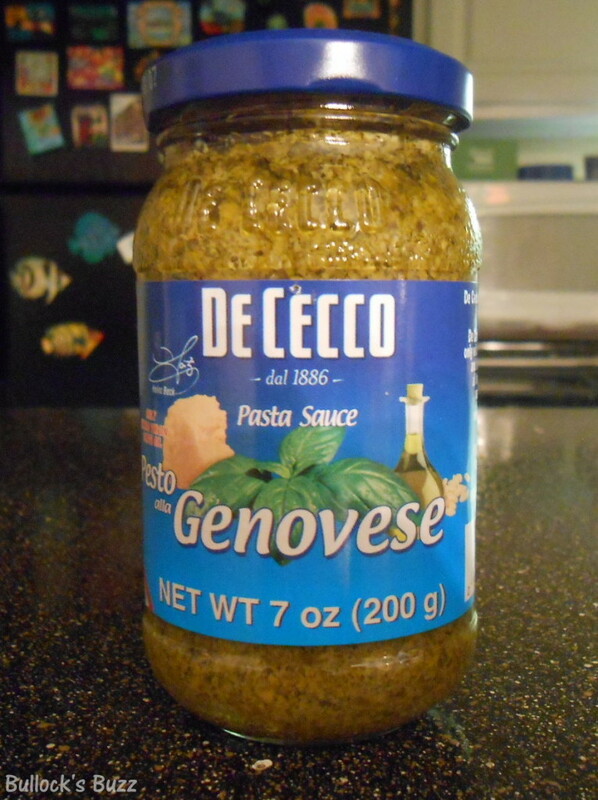 I was also sent De Cecco’s Pesto alla Genovese sauce which is a Genoa style pesto sauce made using a traditional recipe with Extra Virgin Olive Oil only, basil, pine seeds, Grana Padano and Pecorino Romano cheese. This thick, rich pesto sauce has a delicious homemade taste. I have made several dishes with it including the recipe below, and it is wonderful both by itself on top of pasta as well as mixed with other ingredients. 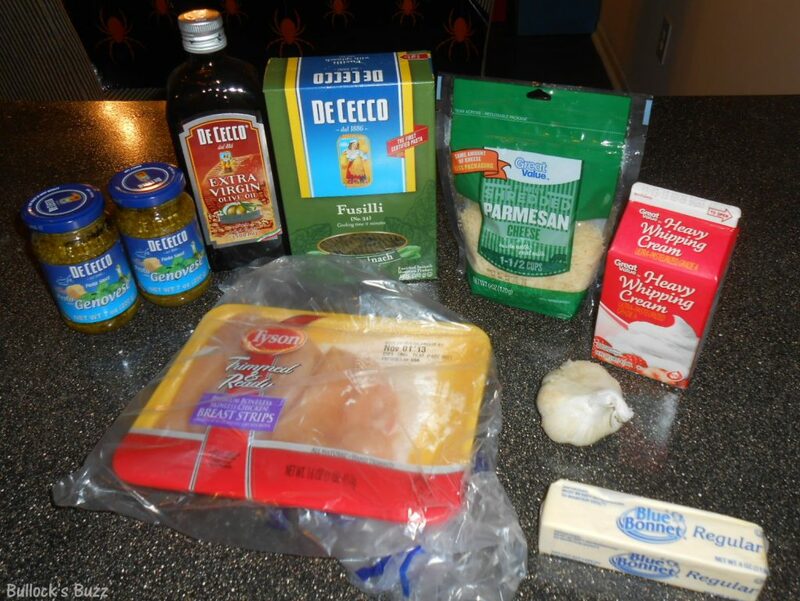 Be sure to visit the De Cecco website where you can find more delicious recipes using De Cecco’s products.  Connect with De Cecco on both Facebook and Twitter for the latest products, cooking tips, recipes, promotions and more! Here is an easy and delicious recipe. Goes great with warm bread and a side salad. As is, this recipe serves 8, I personally cut the amount of pasta and chicken in half, but kept the rest of the ingredients the same so I would have plenty of sauce. It made the perfect amount for four people. And if your children won’t eat ‘green’ pasta, do what I did and mix in some regular pasta too! Enjoy! 2. Meanwhile, heat butter and olive oil in a large skillet until butter is completely melted over medium heat. 3. Add fresh minced garlic and saute for about 1 minute before adding chicken. 4. Cook until chicken is completely white on the outside. 5. 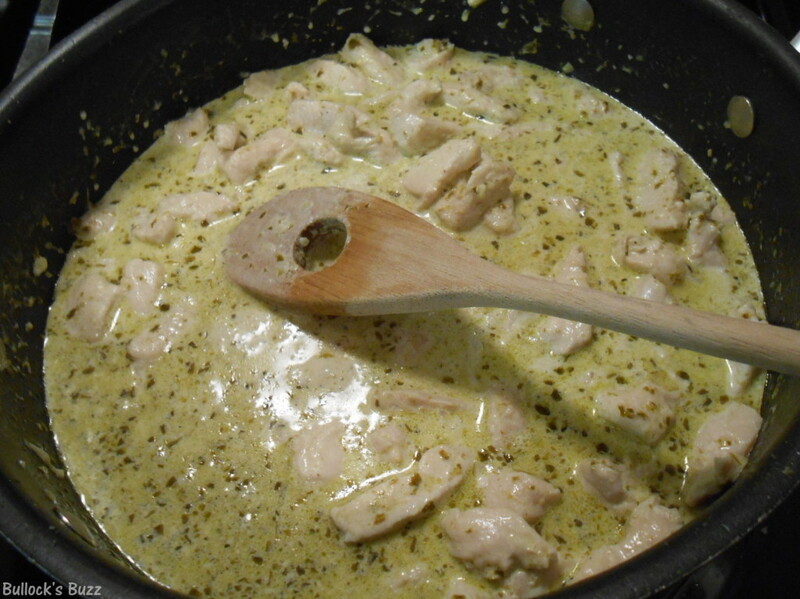 Reduce heat, then add cream, pesto, Parmesan cheese, and a dash of salt and pepper. 6. Cook until chicken is no longer pink on the inside. 7. Drain pasta, and add to the chicken and sauce. 8. Mix well and serve, sprinkling some more Parmesan cheese on top. Here is an easy and delicious recipe that goes great with warm bread and a side salad. 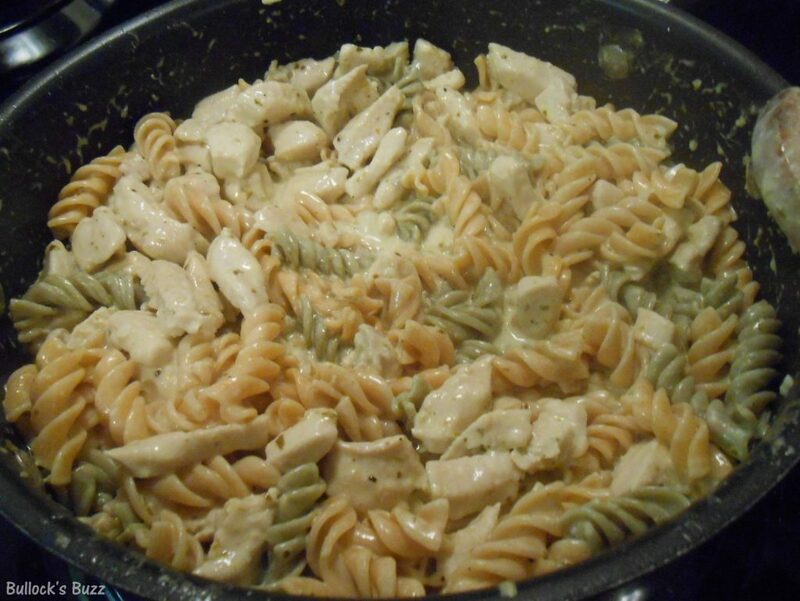 As is, this recipe serves 8, I personally cut the amount of pasta and chicken in half, but kept the rest of the ingredients the same so I would have plenty of sauce. It made the perfect amount for four people. And if your children won't eat 'green' pasta, do what I did and mix in some regular pasta too! Enjoy! Meanwhile, heat butter and olive oil in a large skillet until butter is completely melted over medium heat. Add fresh minced garlic and saute for about 1 minute before adding chicken. Cook until chicken is completely white on the outside. Reduce heat, then add cream, pesto, Parmesan cheese, and a dash of salt and pepper. Cook until chicken is no longer pink on the inside. Drain pasta, and add to the chicken and sauce. Mix well and serve, sprinkling some more Parmesan cheese on top. Recently saw this De Cecco Pesto on the store’s shelf, i gave it a try because it’s the only pesto sauce that contains extra virgin olive oil, the rest are merely sunflower oil. Also, it has a higher percentage of basil leaves than others. I must confess, it tastes really wondering mixing with any kind of pasta, it has that strong flavor of basil and with a hint of tanginess from the cheese. I can’t explain this, it simply defies description. De Cecco Pesto sauce is definitely one of the very best out there, and thanks for your recipe as well!